Very few experiences in life are quite like the rush of wind in your face as you cruise the open road on a motorcycle. For many motorcyclists, their bike is much more than a means to get around town; it is a way of life, a social outlet, and one of the most enjoyable ways to spend a weekend afternoon. This is especially true around San Diego, San Marcos, and Oceanside, where it is warm and sunny all year long. But riding a motorcycle is also extremely dangerous. The lack of protection provided by these vehicles means that injuries suffered in a motorcycle accident are often serious, if not life-altering. It is common for motorcyclists to suffer brain injuries, back injuries, broken bones, lacerations, road rash, paralysis, or death during a collision. As a result, it is important to have an experienced motorcycle accident lawyer in Carlsbad on your side who can make sure your rights are protected. Zev Rubinstein has been fighting for the rights of motorcycle accident victims as a motorcycle accident lawyer in Vista for 25 years. He understands the unique issues associated with these cases, and knows how to battle insurance companies to ensure you receive the compensation you deserve. Please call 866-771-7181 today to schedule your free consultation with our Oceanside motorcycle accident lawyer at our San Marcos office. 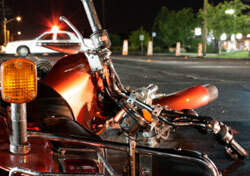 Motorcycle accident claims are typically much more complex than other motor vehicle accident cases. Often, determining fault in a motorcycle accident can be complex, particularly when there is a “near miss” with another vehicle that causes the motorcycle to crash. Often, these accidents were actually caused by the driver of the other vehicle failing to respect the motorcycle’s right of way. When another driver cuts off a motorcycle while changing lanes, the motorcycle must often swerve to avoid the car, resulting in an accident. The fact that another vehicle did not hit your motorcycle does not absolve the driver of fault when he engaged in these types of negligent behaviors. However, it may be more difficult to conclusively prove this driver was at fault for your motorcycle accident injuries. Our motorcycle accident lawyer in San Marcos will work with accident reconstruction experts who can help you build a strong case and hold the negligent driver accountable. To learn more, please read our Questions about Motorcycle Accidents page. You would also be interested in reading the common causes of motorcycle accidents. Throughout his career, Carlsbad personal injury attorney Zev Rubinstein has helped many motorcycle accident victims recover the compensation they deserve after suffering a serious injury. 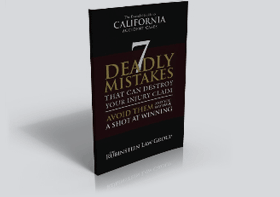 He has developed a strong track record of success including numerous million and multi-million dollar verdicts and settlements for his clients. When facing the financial burdens associated with mounting medical bills and lost wages, you simply cannot afford to trust your case to a less experienced motorcycle accident lawyer. Please contact the Rubinstein Law Group today to schedule your free motorcycle accident consultation with our personal injury lawyer in Oceanside. Mr. Rubinstein serves clients in San Marcos, Oceanside, and Escondido, California.